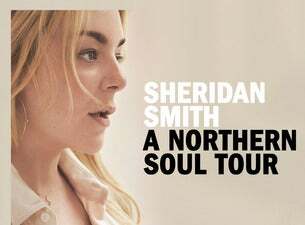 Sheridan released her sophomore album A Northern Soul on 2 November 2018, working with some of the world’s leading songwriters including Grammy award winning producer Jimmy Hogwarth (Amy Winehouse, James Bay), Amy Wadge (Ed Sheeran, Kylie Minogue) and Eg White (Adele, Florence + The Machine). The new album features the single Priceless. Aside from music, Sheridan is well-known for her television performances in comedy shows such as Two Pints of Lager and a Packet of Crisps, Gavin & Stacey, Benidorm and for winning a BAFTA award for playing the title role of Ronnie Biggs’ wife in the critically acclaimed Mrs Biggs. The singer broke through into the music industry in 2017 with her debut album Sheridan. The record reached No.9 in the official UK album’s chart, celebrating Gold status with sales of over 140,000, and was the year’s second biggest debut from a British female artist after Dua Lipa.